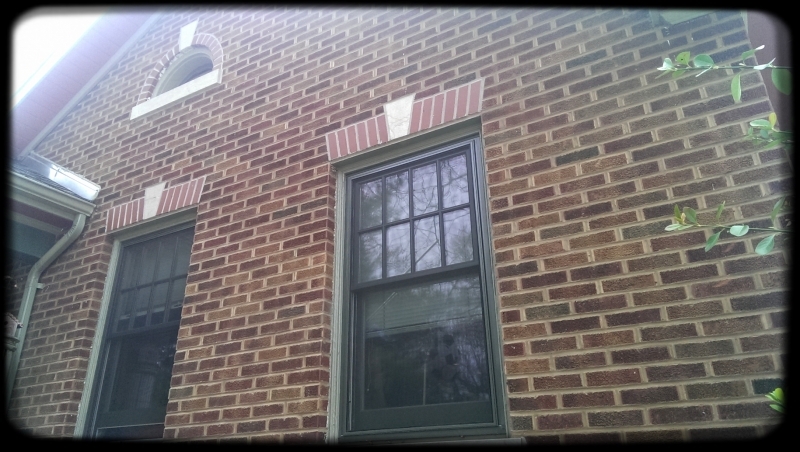 St. Louis Tuckpointing Projects: Revisited! 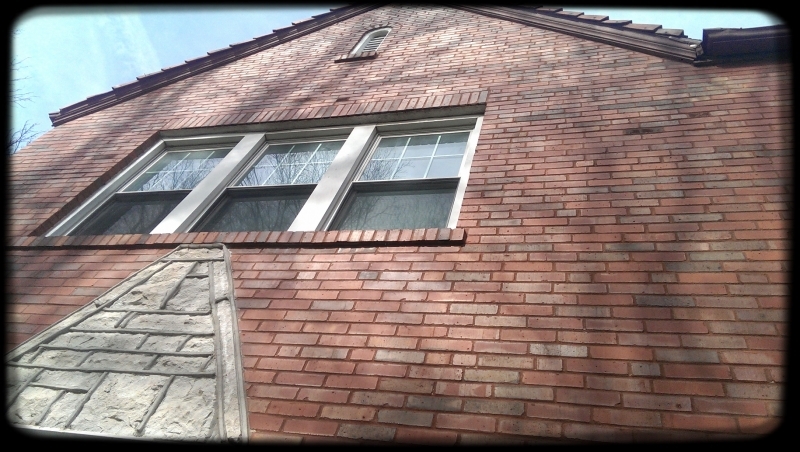 After performing countless tuckpointing and masonry projects over the years throughout the St. Louis area, we often find ourselves in neighborhoods where we have already worked, often by referral. It is always exciting to revisit projects we completed years ago and see them as beautiful and intact presently as the day we left. We wanted to take a moment to show you a few current snapshots of projects we have recently stumbled back across while working on neighboring homes and businesses! 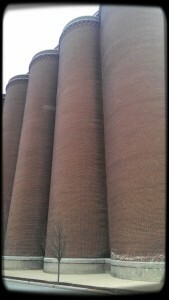 Below are a few current pictures of past completed St. Louis tuckpointing projects. The first two are from St. Louis’ Dogtown neighborhood; a home we completed in the Spring of 2008. 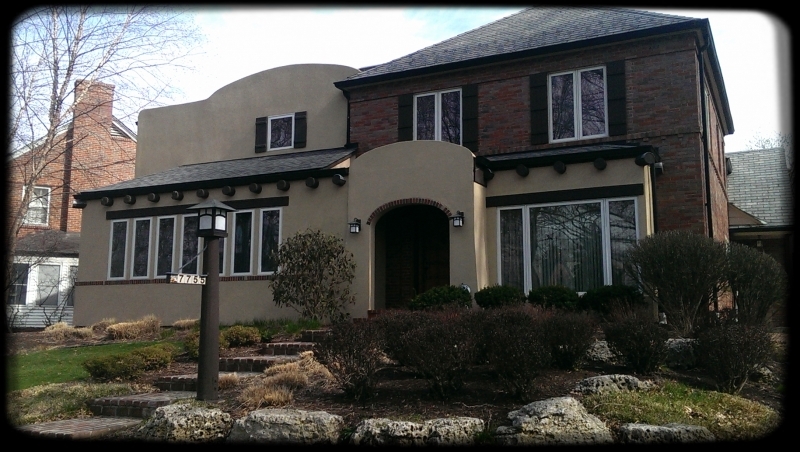 We repointed the complete home in a concave joint profile with a dark buff color. 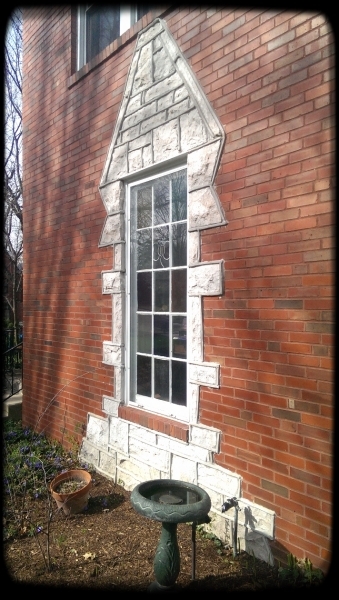 The window sills and other decorative brickwork were tuckpointed with a natural mortar color. The final two pics are from another Clayton, MO home completely tuckpointed in the Summer of 2007. This was tuckpointed with a concave joint profile in a red tinted mortar. Also, we historically restored the stone mortar joints with a ribbon joint to enhance the beauty and provide some geometric order. 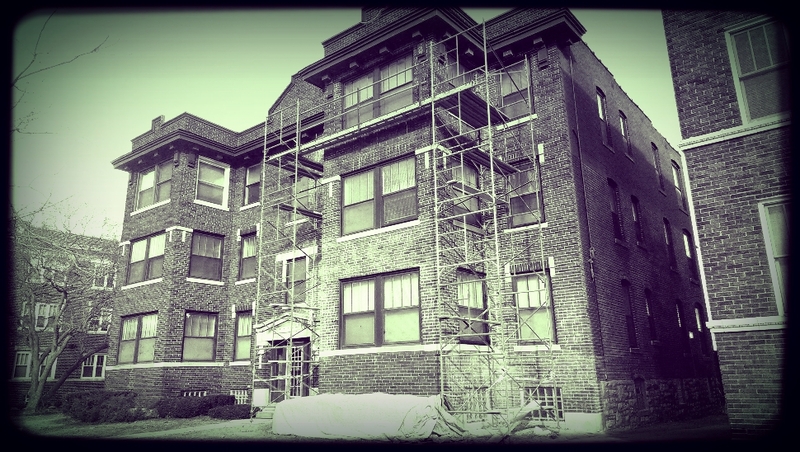 Thanks for taking a moment to check out a couple of our tuckpointing projects of years past! We will continue to post more as we come across them, for those who are interested in bricks and mortar o_O We love feedback…feel free to leave comments below! And remember, we offer free, no obligation tuckpointing and masonry estimates and consultations! St. Louis Turns the Big 2-5-0! St. Louis is 250 years old this year, and birthday celebrations are happening all over town. But did you know that your historic brick home might be one of the best examples of St. Louis tradition and heritage. We are a city built from brick, and that’s something to celebrate. So what makes St. Louis brick so special? Lots of cities build with brick. It’s durable, strong and relatively easy to maintain . . . but it isn’t always pretty. Here in St. Louis, it’s the decorative brickwork–the variations in brick colors, brick patterns and architectural styles throughout our city–that sets us apart. It all started during the Industrial Revolution. With underground clay deposits all over the city, masons and bricklayers of the 19th century had easy access to the raw materials they needed to make brick quickly, easily and right at the building site. Not only did St. Louis become a leading manufacturer of brick for Western, Midwestern and Southern states, but we had plenty of brick to build our own city strong. And since we didn’t have to pay to have our brick delivered, we were able to put our resources into decorating and designing our brick structures. So while other cities sometimes had to make do with a simple brick boxlike building, St. Louis bricklayers, architects and masons could create beautiful buildings throughout the city–homes, apartment houses, churches, schools, taverns and industrial buildings. Even the humblest of brick buildings in St. Louis might be decorated with distinctive and ornate brickwork like cornices, arches, glazed brick, textured brick and masonry sculpture. 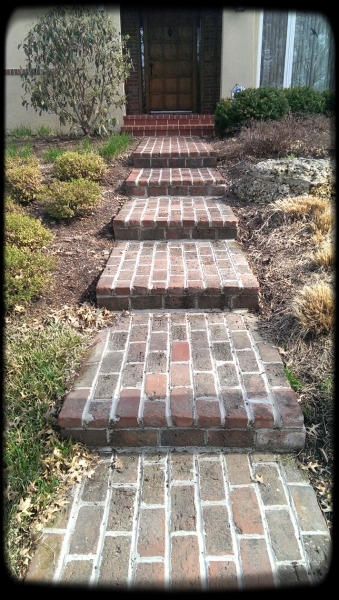 If you’re lucky enough to own an historic St. Louis brick home, you know the necessity of regular maintenance. It is important to check your exterior walls, parapets and chimneys for crumbling mortar, cracked bricks or deteriorating bricks, to keep your home or business safe from moisture. But you can’t trust just anyone with your classic St. Louis home. 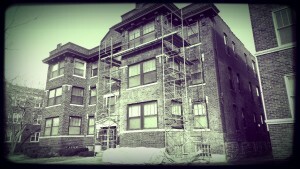 Older masonry needs a little extra TLC. The color variations and design elements need to be carefully matched and cared for. And your home needs to be treated with the respect it deserves. Our team of licensed and fully insured masonry specialists provides tuckpointing and brick repair services that match the needs of historic St. Louis buildings. 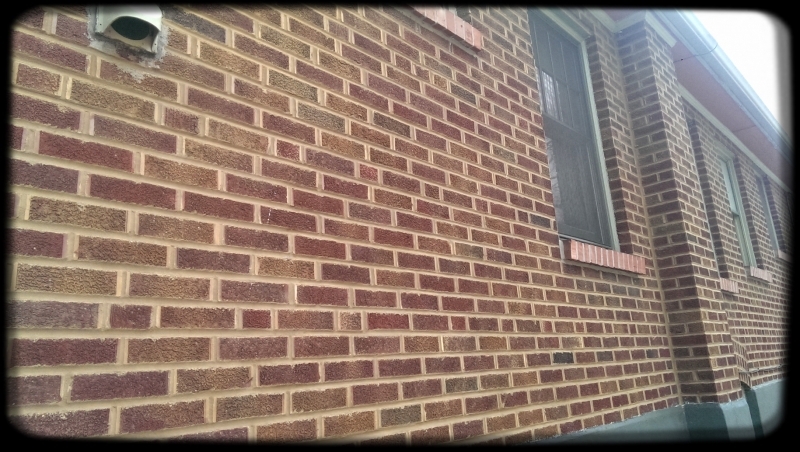 Contact us today for a free historic tuckpointing or decorative brickwork repair consultation and estimate. 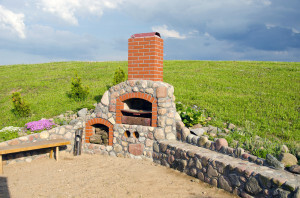 It’s Time to Fire Up Your Backyard Landscape! Whether the temperatures outside agree or not, Spring is here! Birds are chirping, flowers are blooming, and back yards are finally surfacing after months of hiding under ice and snow. This year, after our hard St. Louis winter, it’s time to treat your back yard, and your family, to a landscape renovation. With an outdoor fireplace or fire pit, you’ll add warmth to chilly Spring nights and transform your back yard into the outdoor living space it longs to be. 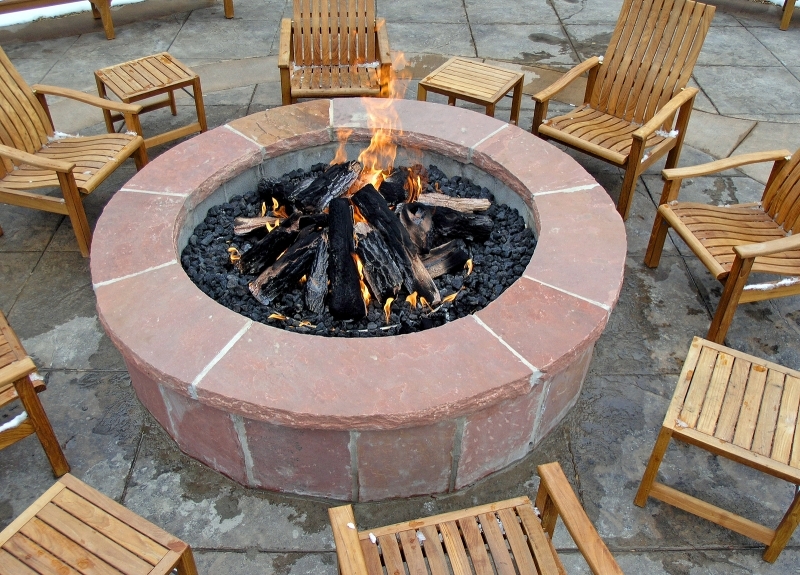 Whether you’ve got a small and cozy outdoor space or a large back yard to work with, there is a fire feature to suit your space and style. 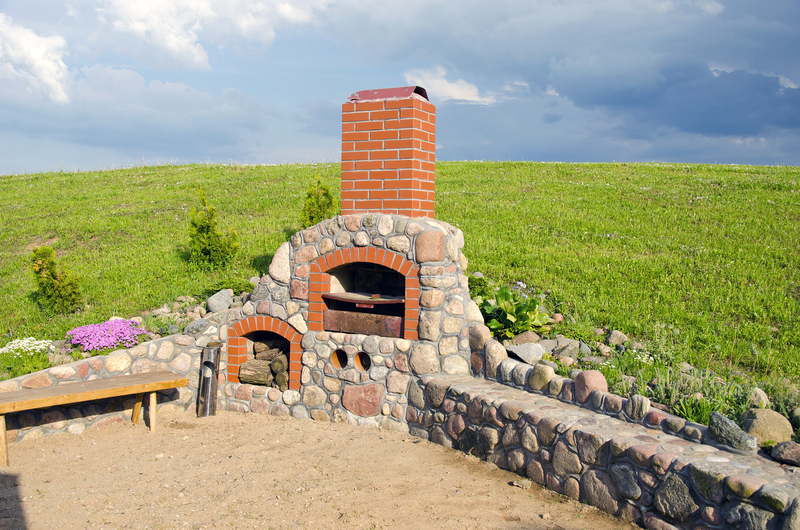 Keep it classic and rustic with a brick or stone fire pit, or go big and elegant with a beautiful masonry fireplace and chimney to outfit your outdoor kitchen. You’ll upgrade your landscape and create a backyard haven for your family and friends. Start this Spring and you’ll create warmth and ambiance that will last your home and your family throughout the seasons. 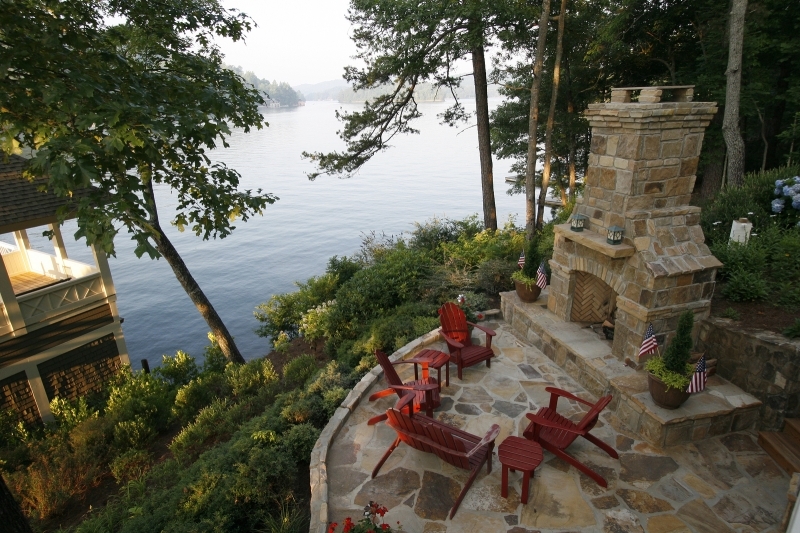 Outdoor Fireplace, Firepit, or Kitchen: Design & Build! You want to visualize before the build process? We can develop you a detailed design, 3D rendered, with your home incorporated! No need to guess how your ideas will translate to the real world! Choose a custom-built outdoor fireplace or fire pit made from brick or stone because it’s durable, attractive and suited to your style. You’ll add charm to your home, increase your property value and make your home more enjoyable. Contact us today for a no-obligation consultation and free estimate.